Beanies With Built-In Bluetooth Speakers are Back! When it comes to consumer electronics devices, today’s teens and 20-somethings like fashion and function. Solid Signal has a Bluetooth-enabled device that combines both of these qualities. How does it work? It’s simple. Removable speakers are built right into the hat, along with a volume control that’s sewn right into the fabric. The hat pairs with your phone just like any other wireless headset. The only difference is, you won’t lose these headphones and you won’t suffer just because you want to keep your head warm. They’re a perfect option for you, and the kids will love them. Kids develop a love for music by the time they’re pre-teens and teenagers. This is as much a part of their identities as they clothes they wear and the devices they use. What if we told you that Solid Signal has an easy way for your kids to hear their music and phone conversations and look stylish while doing it? If you’re looking to score some points with your teenage son or daughter, we have just the thing. 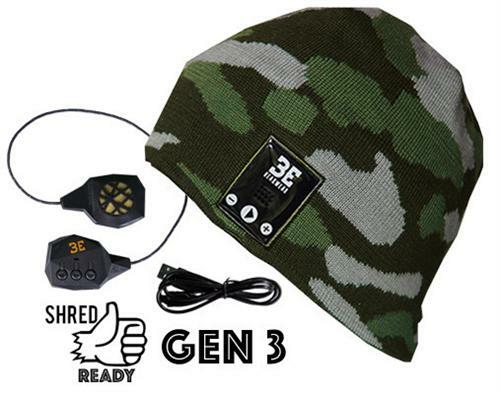 Your pre-teen, teen, and even your 20-something will the Justright Bluetooth Beanie. These stylish beanies, which already are popular with young people, come equipped with a Bluetooth-enabled headphones. These earpieces have no hanging wires, and have a playing time of about six to nine hours from a two-hour charge. Your kids will love listening to their favorite tunes and talking on the phone with these functional beanies, and you’re sure to find one they’ll like. These Bluetooth-enabled beanies come in five styles – regular, loose/tall-fit, cuff, tassle, and knit. There’s also a variety of colors in each style. Check out the great selection at great prices at Solid Signal. There are even combo packs if you want to outfit the whole family at once. You might remember that we featured BE Bluetooth Beanies two years ago. They’re back, and they’re better than ever. Solid Signal has more colors, more styles, and better pricing than ever before. Think any of these Bluetooth beanies would be the bomb with someone you know? Order one now from Solid Signal. Whether your child is into the latest hip hop, electronic music, or grunge rock, they love their beanies. And we all know that kids these days are nearly addicted to their electronics devices. This awesome product combines the function of a Bluetooth-enable devices for music and call phone calling with the fashion of a timeless teen trend. In other words, you can’t go wrong with getting one of these amazingly awesome beanies for you kid.